This is the message that greets you should you have clicked attending on ‘Gig Sa Tigh’s event on Facebook. The newly founded ‘pop-up gigging’ experience was the brainchild of Agu Jones. Born and raised in Poland, Agu moved to Galway from Czechia last summer after her partner was awarded a research grant at NUIG. Agu’s project has brought something personal back to live music that is often lost in loud crowded bars. To put local and national talent in your living room and avail of ever changing spaces to set the atmosphere differently and uniquely for each set of performers. Although she says she can’t claim all the credit for the idea. ‘Where I come from house concerts are a thing at the moment. They are very common and especially popular amongst songwriters. I have a few friends who did whole tours playing only house gigs’. Having it in a living room, just inches away from the performers lends a raw and personal feel which Agu feels to be the making of Gig Sa Tigh. ‘The intimate atmosphere gets you really close to the musician and allows much deeper communication on both sides. When you sit on the floor in a living room packed with people who all came here mainly to listen to music, you can hear a pin drop. This quirky idea is part of a larger Galwegian identity, something that Agu feels aided Galway’s successful Capital of Culture 2020 bid massively. Both for its originality, and the use of space for events that will stand Galway in good stead ahead of 2020, answering many critics who have suggested that Galway lacks the cultural infrastructure to host properly. ‘I don’t believe that big cultural infrastructure is the main criterion for choosing the European Capital of Culture. The cultural infrastructure doesn’t really have to be the city’s biggest strength for the city to be worthy of the title. Furthermore, infrastructure-wise, it is really unfair to compare Galway with a major European metropolis like Dublin, Paris, Prague or Berlin. If you look at the data, Galway seems to be one of the smallest, if not the smallest town, that has ever been chosen to hold the title of European City of Culture. I see the title more as a recognition from the European community of Galway’s cultural heritage’. And for Agu, despite a lack of larger established venues than say the likes of Dublin or Cork, our culture does not rely on this. ‘If you think creatively, you will always find places that can temporarily be used as venues for the arts. Anything can serve as a venue really as long as you have an audience to play for’. Despite disagreeing that a space need be specifically designed for cultural purposes, Agu still has great time for the plans of ‘An Áit Eile’, the Galway based culture blog who played a big part in landing the 2020 bid, who have their eyes set on opening ‘a dedicated multi-use cultural space for communities, groups, and people to come together and realise their artistic desires’. ‘I really like the holistic grassroots approach of An Ait Eile, encompassing and linking different strands of the city’s creativity, and I would love to be able to participate in my own small way in this cultural ferment’. But before we even really begin thinking of 2020, Agu has Gig Sa Tigh as an example of how we can use different spaces in our City as platforms for culture and the arts. 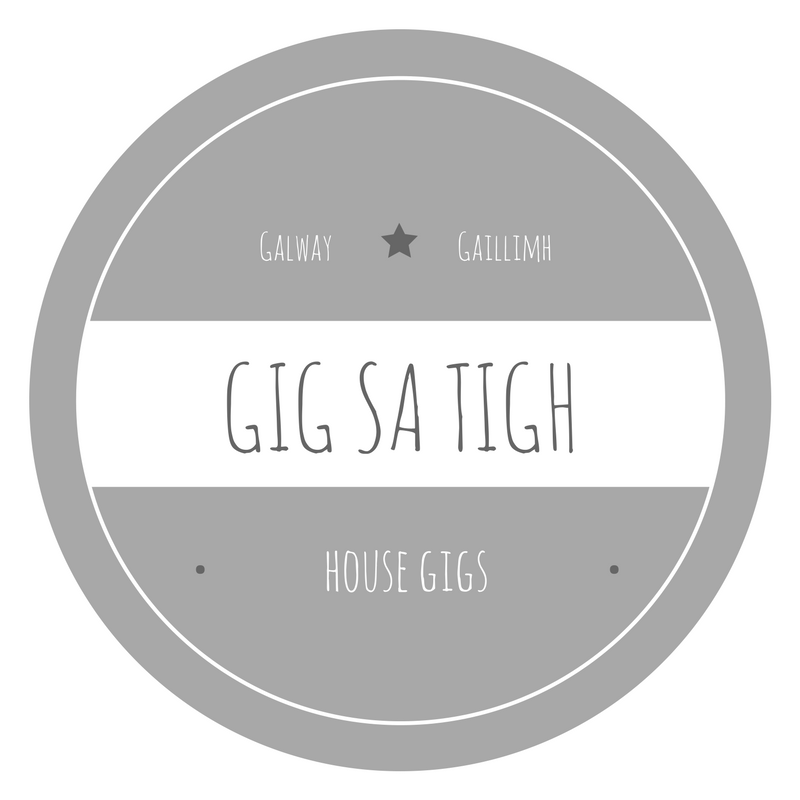 With the next few editions of Gig Sa Tigh already planned out. ‘In the upcoming show, we will host Let’s Set Sail, a band from Dublin. Later on in the year we’ll host the local indie-electronic producer WelFela, and in June we will have the pleasure to host Lynda Cullen from Cork and a later on a promising young band called JANAJ from Galway’. As you can tell, Agu intends on injecting plenty of life into living rooms across the City. I simply want to mention I am just very new to blogs and certainly savored you’re blog site. More than likely I’m likely to bookmark your website . You actually have perfect writings. Kudos for sharing your web page. I in addition to my pals were found to be reading through the excellent procedures from your web blog while unexpectedly I got an awful feeling I had not expressed respect to you for those techniques. Those ladies came excited to learn all of them and have in fact been loving those things. Thank you for simply being so accommodating as well as for getting certain beneficial topics most people are really eager to be informed on. My sincere apologies for not expressing appreciation to you sooner. You really make it appear so easy along with your presentation however I in finding this matter to be actually one thing that I feel I’d by no means understand. It sort of feels too complicated and very vast for me. I am looking forward to your next put up, I will attempt to get the cling of it! I wanted to send a quick comment so as to thank you for all the awesome suggestions you are sharing on this site. My considerable internet investigation has now been compensated with incredibly good suggestions to talk about with my best friends. I would express that most of us readers are extremely fortunate to be in a magnificent place with many marvellous professionals with insightful methods. I feel really happy to have encountered your entire weblog and look forward to some more thrilling times reading here. Thanks once again for all the details.